09/22/2017 The 11th Annual Microcurrent Case Conference in St. Pete Beach , FL. 09/30/2016 The 10th Annual Microcurrent Case Conference in St. Pete Beach , FL. 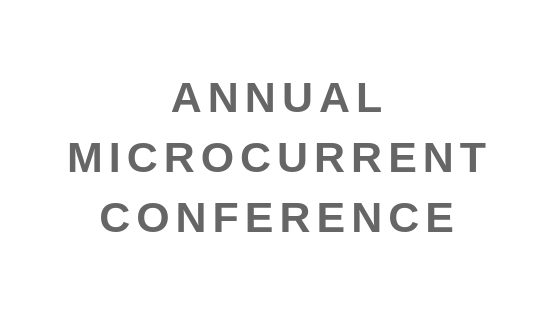 10/09/2015 The 9th Annual Microcurrent Case Conference in Carefree, AZ. 10/01/2014 The 8th Annual Microcurrent Case Conference in St. Pete Beach , FL. 10/10/2013 The 7nd Annual Microcurrent Case Conference in Dade City, FL. 10/05/2012 The 6th Annual Microcurrent Case Conference in Cave Creek, AZ. 10/07/2011 The 5th Annual Microcurrent Case Conference in Cave Creek, AZ. 10/02/2010 The 4th Annual Microcurrent Case Conference in Cave Creek, AZ. 10/02/2009 The 3nd Annual Microcurrent Case Conference in Cave Creek, AZ. 10/25/2008 The 2nd Annual Microcurrent Case Conference in Phoenix, AZ. 10/06/2007 The First Annual Microcurrent Case Conference in Tempe, AZ.